At TIPA, sustainability is not only an integral part of our strategy – it is the essence of our existence. Our environmental commitments and goals are embedded in our mission, strategy and code of business conduct, and we are committed to running our business in a long-term sustainable manner. Environmental implications were kept in mind throughout the entire development process. All elements along the value chain, from the source of raw materials, through the components of the film, manufacturing processes and delivery to end users have taken environmental responsibility into consideration. 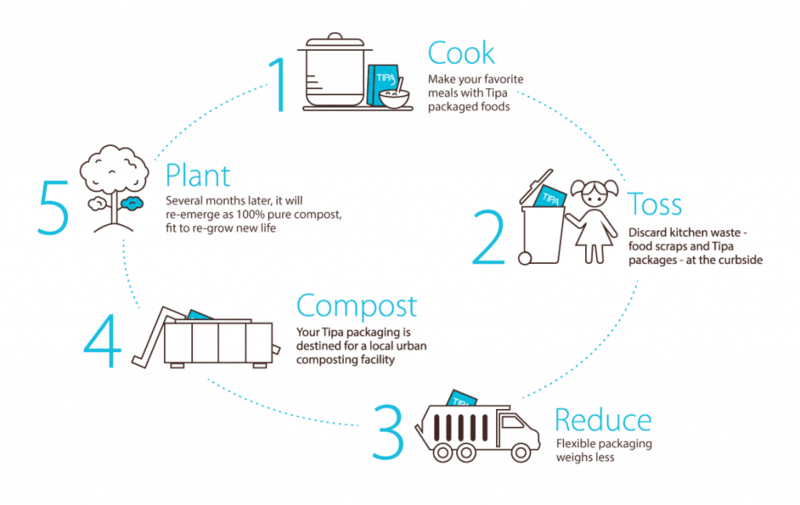 Tipa’s products, compounds and films comply with EU 13432 and ASTM D6400 standards and are certified for both home and industrial composting through the OK Compost mark by the Vincotte institute. Tipa’s materials also meet food contact regulation requirements in Europe and the US.